Innovative Strategic Advanced Systems, L.L.C. (ISAS) is a women-owned, HUBZone, small business high technology company headquartered in New Orleans, Louisiana. 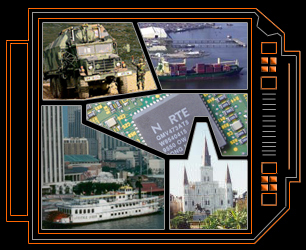 ISAS designs, manufactures and markets state of the art ruggedized portable test, measurement and computational products. These products are used for demanding measurement applications in numerous markets such as: Traditional Test & Measurement, Military/Aerospace, Automotive, Utilities, Oil & Gas Exploration and Marine/Maritime. The primary mission of ISAS is to become the premier provider of ruggedized portable measurement systems and small portable computational devices used to automate the gathering and correlation of data and to provide real time analysis to the user. ISAS is dedicated to building long-term relationships with customers through quality products and customer support. ISAS desires to be recognized by its customers as the leading Ultra-Portable Measurement and Information Company in severe, harsh and rugged environments.